This is an AV8RSTUFF creation of the aircraft patch for the Marine Light Helicopter community that flies a variety of "light" helicopters. It does have velcro attached. 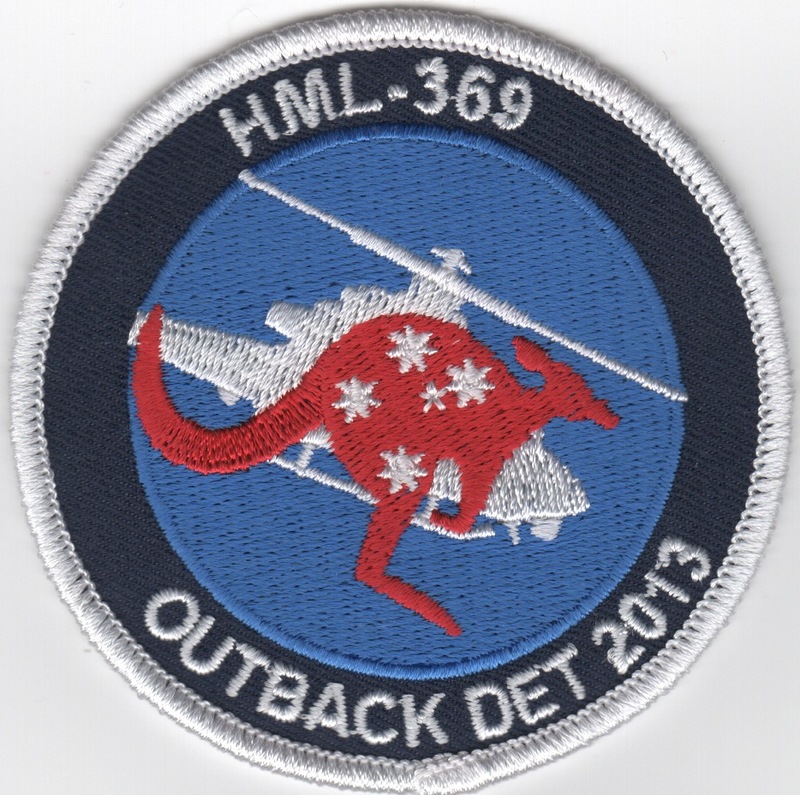 This is the deployment patch for HML-369 for their stint in the "Outback" in 2013. 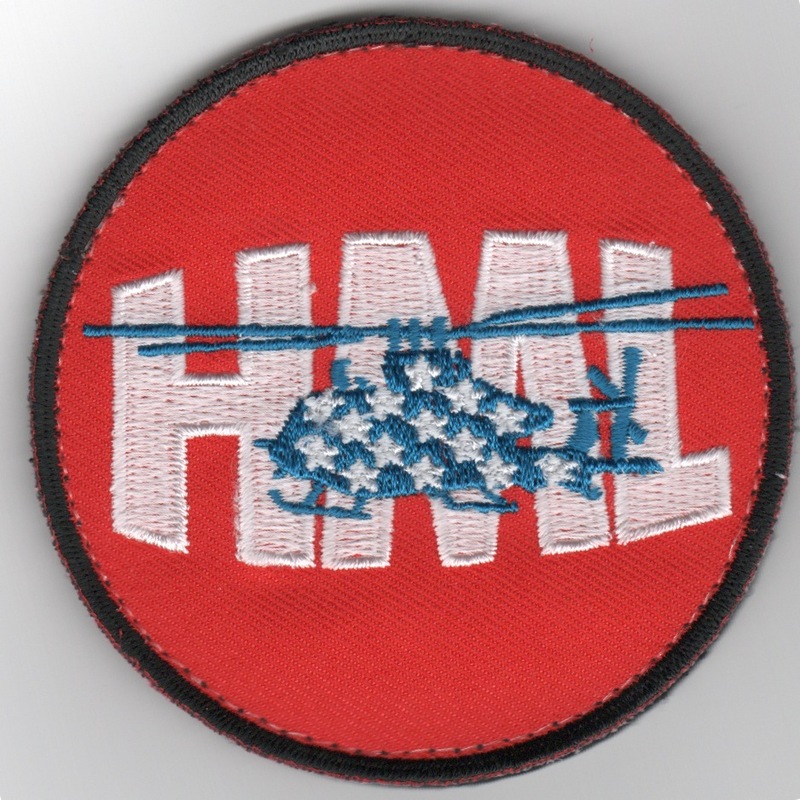 This is the small version of the squadron patch for HMLA-169. They are attached to MAG-39 located at MCAS Camp Pendleton. They are a "long time" West coast "Float Squadron" doing multiple deployments. They were activated 30 September 1971 as HMA-169, then redesignated HMLA-169, 1 October 1986. They are a very decorated unit, with operations from Desert Shield/Desert Storm to Operation Sea Angel, Bangladesh, May 1991. 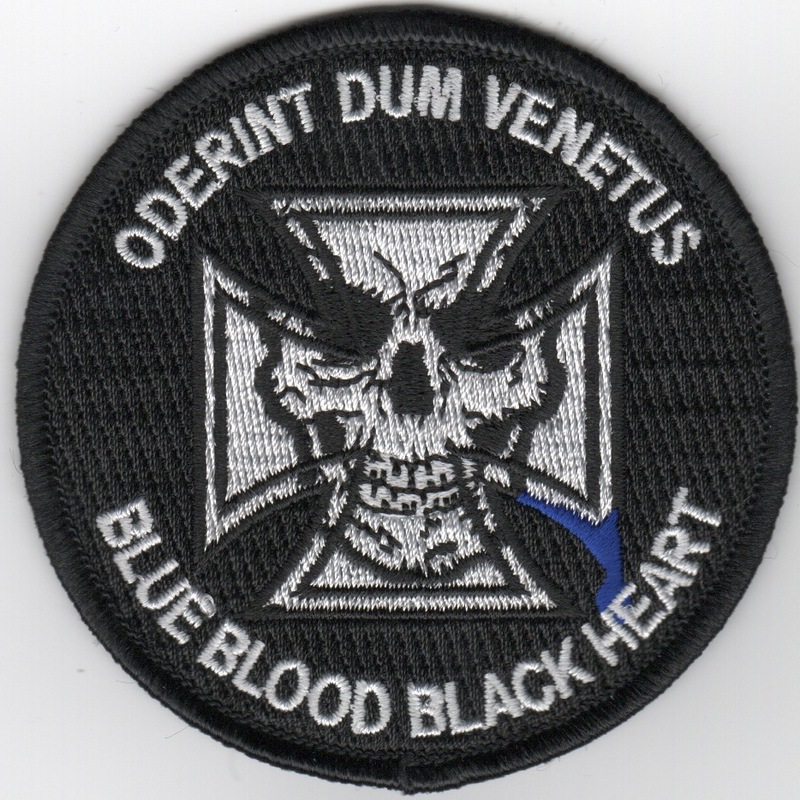 This is the subdued version of the squadron patch for HMLA-169. They are attached to MAG-39 located at MCAS Camp Pendleton. They are a "long time" West coast "Float Squadron" doing multiple deployments. They were activated 30 September 1971 as HMA-169, then redesignated HMLA-169, 1 October 1986. They are a very decorated unit, with operations from Desert Shield/Desert Storm to Operation Sea Angel, Bangladesh, May 1991. This patch already has the velcro on back. This is the small desert version of the squadron patch for HMLA-169. They are attached to MAG-39 located at MCAS Camp Pendleton. They are a "long time" West coast "Float Squadron" doing multiple deployments. They were activated 30 September 1971 as HMA-169, then redesignated HMLA-169, 1 October 1986. They are a very decorated unit, with operations from Desert Shield/Desert Storm to Operation Sea Angel, Bangladesh, May 1991. 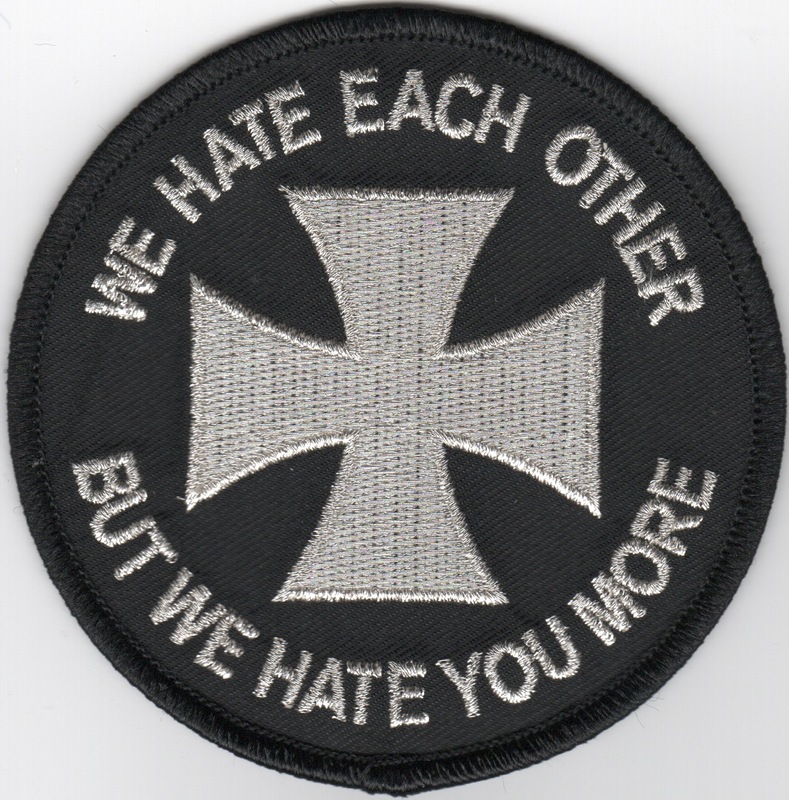 This is the gray version of the squadron patch for HMLA-169. They are attached to MAG-39 located at MCAS Camp Pendleton. They are a "long time" West coast "Float Squadron" doing multiple deployments. They were activated 30 September 1971 as HMA-169, then redesignated HMLA-169, 1 October 1986. They are a very decorated unit, with operations from Desert Shield/Desert Storm to Operation Sea Angel, Bangladesh, May 1991. This patch already has the velcro on back. 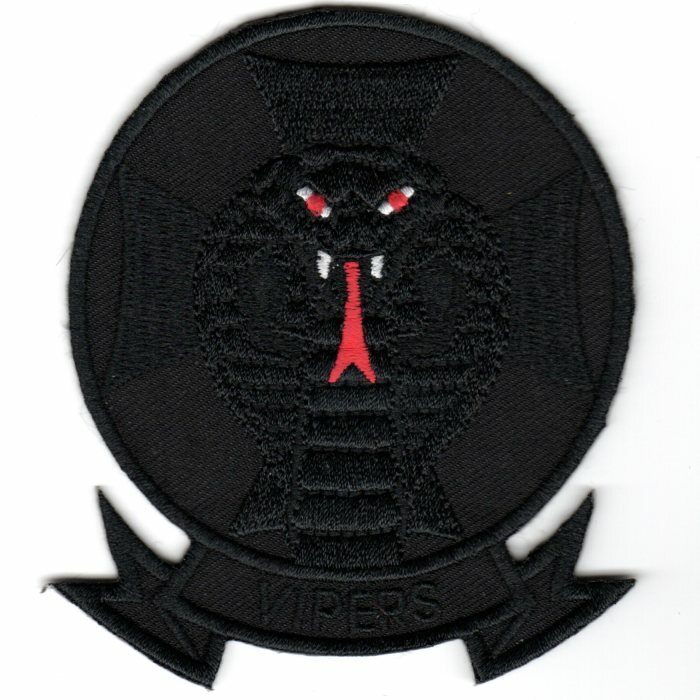 This patch was created for HMLA-169 and says "VIPERS" (bottom). It has the Maltese Cross in the center behind the cobra snakehead, but since everything is black, it's hard to see unless you have light reflecting off it...The snake's eyes and tongue are easily visible. This patch does not have velcro attached. 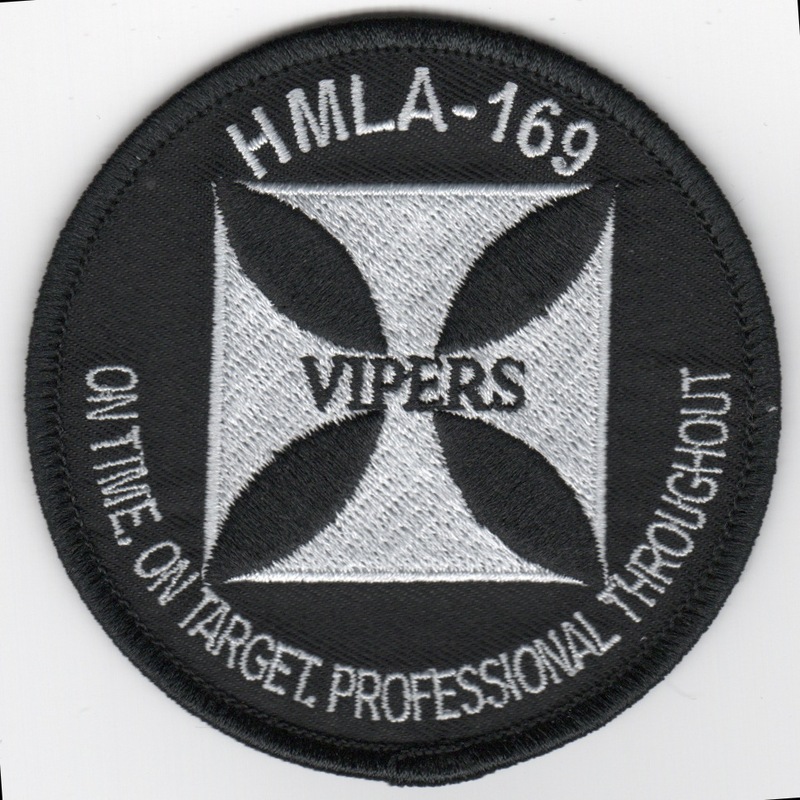 This patch was created for HMLA-169 and says "VIPERS" in the middle of the Maltese Cross. It says "ON TIME, ON TARGET, PROFESSIONAL THROUGHOUT" along the bottom and does not have velcro attached. 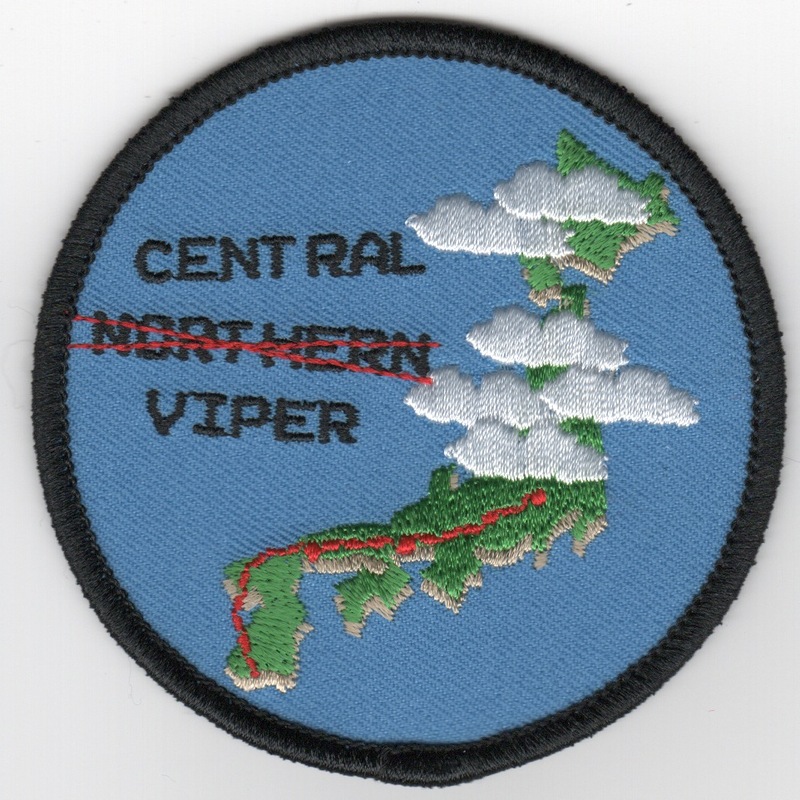 This patch was created for HMLA-169 and says "CENTRAL NORTHERN VIPER" in the middle of the patch with "NORTHER" crossed out. I don't have the full story on this, so if someone does, please share. This patch does not have velcro attached. 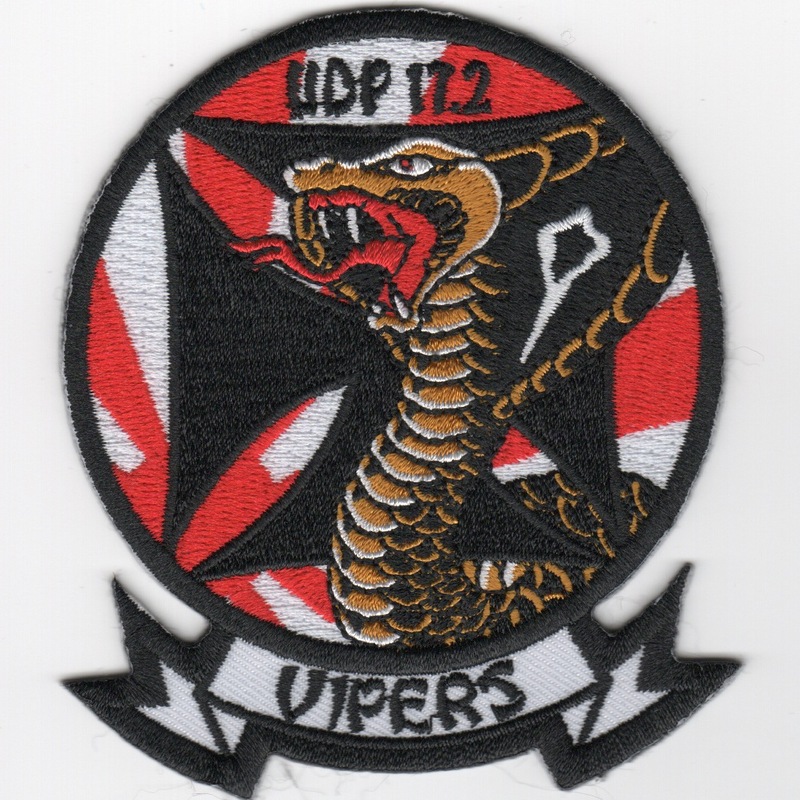 This patch was created for HMLA-169 and says "UDP 17.2" (at top) which stands for "Unit Deployment Program". This patch does not have velcro attached.